Jikishoan holds a number of residential retreats each year, with resident teacher and Abbott Ekai Korematsu Osho. These seven-day retreats provide a period of concentrated Zen practice, conducted mostly in silence. The daily routine is structured around periods of zazen (sitting meditation), kinhin (walking meditation), oryoki (traditional meal practice), samu (work practice) and teisho (daily talks) by Ekai Osho. Personal interviews with Ekai Osho are also available. 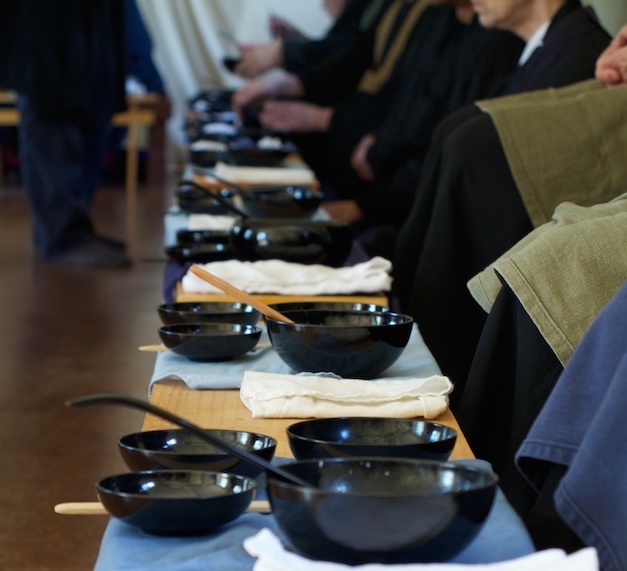 If you would like to speak with someone about Jikishoan retreats, please contact Hannah Forsyth, Main Course C and Retreat Coordinator via email or mobile 0408 100 710. Retreats are held at the Adekate Centre, Dean near Ballarat. A bus service runs from Tullamarine Airport to Creswick, near Adekate. Tickets for the bus can be purchased online through the Airport Shuttle Bus site. You can now register for retreats online.